Since news headlines everywhere lapped up the story of Belle Gibson lying about using diet to help keep her become cancer free, mainstream media has criticized the actual legitimacy of health bloggers, coaches, and lifestyle blogs everywhere. Don’t get me wrong, I agree with the media, it was wrong of this women to profit and gain followers on her site which advocated health by lying about being ill, however I disagree with media’s attempt to devalue the message that food can be medicine completely. Recently I have had the pleasure of meeting a real life prostate cancer survivor, who used food to aid in healing, Geoffrey Rupp. Geoff has a family history of cancer and abruptly moved back to Australia after living 7 years abroad, to support his father through his father’s journey with prostate cancer. A seed of health and wellness had been planted for Geoff from seeing his father’s tumultuous journey of surviving through radiation therapy, surgery, and using food as medicine. Geoff was inspired to learn how to utilize food and other natural therapies to live a healthy lifestyle. However, the drudge of daily routine, work, and life got the best of him, and before he knew it 10 years had passed with a curiosity and inspiration for health, however stagnation in the perils of daily life and stresses of being a high powered TV exec. By chance, during a routine Executive Health Test performed at his place of work, Geoff was confronted with the startling reality that his family history caught up with him sooner than he anticipated, and he too was diagnosed with prostate cancer at the ripe young age of 40. Geoff described his journey as a lucky one as he quickly cycled through the emotional phases of processing the confronting news; and experienced denial, sorrow, and acceptance quite quickly. Because his cancer was non-aggressive, he was told he had 8 months to lower his PSA (protein produced by cells of the prostate gland) levels. As Geoff spent the next month being poked, prodded, and analyzed by specialists assisting with his case, a spark of inspiration awoke in him leading him to seek practitioners who were willing to work with natural therapies to aid in his healing. Geoff combined Eastern and Western medicine to successfully lower his PSA levels by half. He switched to a clean diet of abstaining from sugar, alcohol, and gluten, and significantly scaling back dairy and meat. (He actually only consumed raw dairy when he felt the need for it). His goal was to make his body as alkaline as possible. He became active and incorporated both yoga and meditation in his daily routine. He also used acupuncture and a variety of other Eastern practices to aid in his recovery. According to Geoff, the irony of his situation was that with these changes in lifestyle, he felt the best he had ever felt. Fast forward 8 months later, his specialists had said surgery was no longer necessary as Geoff had successfully ‘beat’ cancer, and as long as he kept the PSA levels at his new low, he was in the clear. Being the pragmatic person he is, although surgery was unnecessary, Geoff moved forward with scheduling it because he knew he was in the best shape ever, and he was young, so his recovery would be far better and easier than if he was in worse condition and slightly older. A wonderful thing about Geoff’s story is because he used food and other methods of healing as medicine, that didn’t cause him to devalue medical management, in fact, it was the opposite. For Geoff, the two coexisted, augmenting each other in his journey to health. 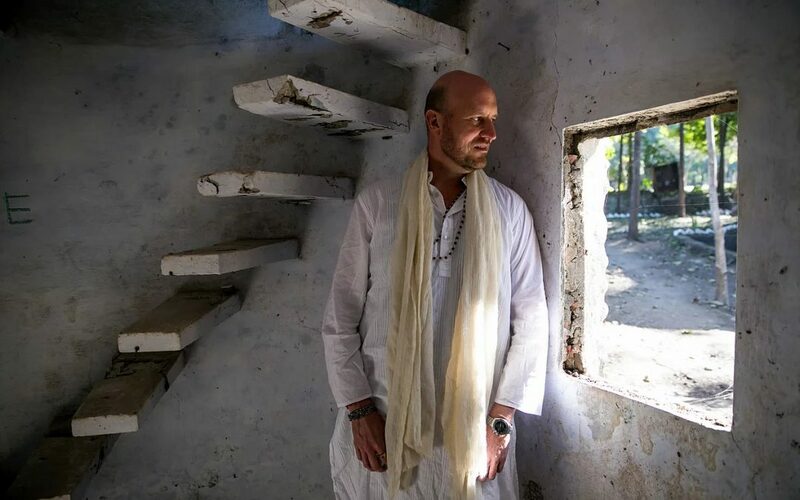 Through his heavy research and his experience, Geoff dreams of opening a retreat center/health spa in Kangaroo valley where one can come for not only a pampering experience, but those who are diagnosed with disease can come to a one-stop resource center for natural therapies to aid in recovery. Because he has compiled and came across so many specialists who can enhance healing through a combination of natural therapies and a clean diet, he wants to provide a wellness retreat for people in similar situations where they can come (with medical supervision) to aid in recovery. Through his tango with disease, Geoff seeks to help others through his own journey to wellness, proving to media skeptics and jaded news outlets everywhere that healthy healing is possible – we just need to focus on these inspirational victories. If you are interested in to learn more about Geoff or are eager to get involved in his wellness center, please contact him at geoff@geoffrupp..com.